The Supreme Court of Canada shifted the goalposts Friday on one of the most fundamental of human laws. In a charter precedent that will go down in the history books as Carter vs. Canada, the court unanimously struck down the ban on providing a doctor-assisted death to mentally competent but suffering and "irremediable" patients. The emphatic, unanimous ruling prompted tears of joy and frustration on both sides of the debate, reverberated through provincial health ministries and doctor's offices across Canada, and left skittish federal parliamentarians groping for time to digest the implications. 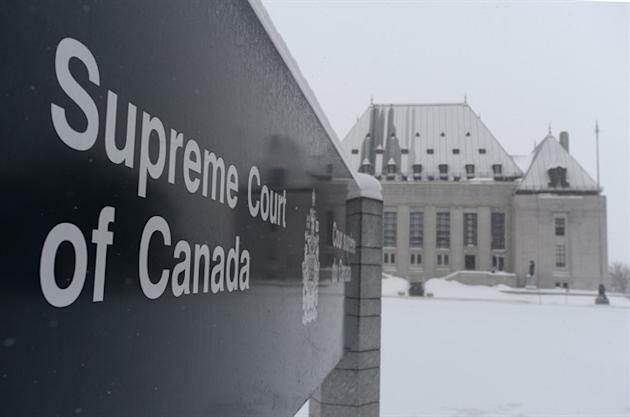 "The prohibition on physician-assisted dying infringes on the right to life, liberty and security of the person in a manner that is not in accordance with the principles of fundamental justice," the nine justices flatly asserted. The judgment — left unsigned to reflect the unanimous institutional weight of the court — gives Parliament a year to draft new legislation that recognizes the right of clearly consenting adults who are enduring intolerable physical or mental suffering to seek medical help in ending their lives.